The UMR Magazine staff asked alumni to share their fondest memories of UMR"s grand tradition. // EclipseCrossword (C) Copyright 2000-2007 Green Eclipse. // Check the user’s browser and then initialize the puzzle. // Create the cell-to-word arrays. // First, add the horizontal words to the puzzle. // Second, add the vertical words to the puzzle. // Now, insert the row HTML into the table. // Finally, show the crossword and hide the wait message. // Raised when a key is pressed in the word entry box. // Treat an Enter keypress as an OK click. // Called when we’re ready to start the crossword. // Returns true if the string passed in contains any characters prone to evil. // Pads a number out to three characters. // Returns the table cell at a particular pair of coordinates. // Deselects the current word, if there's a word selected. DOES not change the value of CurrentWord. // Changes the style of the cells in the current word. // Changes the style of the cells in the current word between the selected/unselected form. // If they clicked an intersection, choose the type of word that was NOT selected last time. // Now, change the style of the cells in this word. // Then, prepare the answer box. // Find the appropriate table cell. // Finally, show the answer box. // Called when the user clicks the OK link. // First, validate the entry. // If we made it this far, they typed an acceptable word, so add these letters to the puzzle and hide the entry box. // Called when the “check puzzle” link is clicked. // Get the user's entry for this word. // If this word doesn’t match, it’s an error. // If they can only check once, disable things prematurely. // If errors were found, just exit now. // They finished the puzzle! // Called when the “cheat” link is clicked. Here are the 98 St. Pats that have been selected at MSM and UMR. Here are the 91 women who have been named a Queen of Love and Beauty at MSM and UMR. Honorary Knights of St. Patrick, chosen each year by the St. Pat’s Committee and the UMR chancellor, are chosen for the service they’ve performed for the campus, the Rolla community, the state of Missouri, the nation and/or the St. Pat’s tradition. 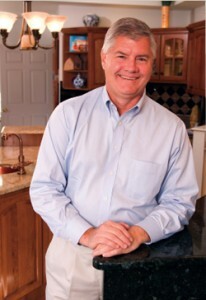 Fred Bueler Jr., CE’79, got hooked on the home-remodeling business at age 14 when he began working summers for a contractor in his St. Louis hometown. Back in those days, he was digging footings and foundations by hand. It takes several big trucks and a fair amount of logistical planning to ship a house to Washington, D.C. Representatives of General Motors Corp. came to UMR Sept. 19 to discuss career opportunities with students and accept resumes for full-time, intern and cooperative positions. Human-powered vehicle racer Jerrod Bouchard, a senior in mechanical engineering, recorded the third-fastest time ever by a college student this fall during the World Human-Powered Speed Challenge in Battle Mountain, Nev.
Garmin, designer and manufacturer of navigation and communication equipment, visits UMR.